My First independent Themes review is here, and it's all about MyThemeShop - Themes That Rocks. MyThemeShop is Known for its premium responsive WordPress themes and Let's go straight to into my ultimate MyThemeShop Review. 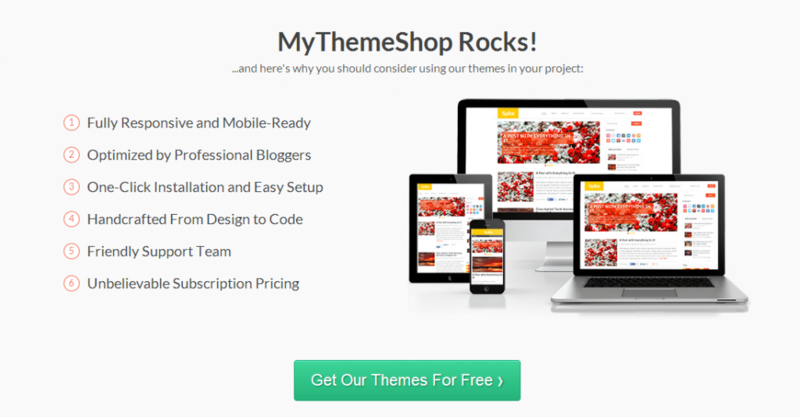 MyThemeShop Review- Themes That Rocks! As they suggest, the theme rocked and increased my online income . Apart from my personal story, I always suggest my clients use MyThemeShop Themes on their sites. Please Note: Many Sites Ranking higher on Google says it's giving 65% or more coupon codes, but the reality is those coupons give you an only low discount. Here at Bloggingio, use the official coupon to get maximum offer, and you can check Screenshot below. MyThemeShop is Known for its responsive Design. All themes are responsive and adjustable with all screen sizes of smartphones, Tablets, UltraBooks, etc. They won't compromise on responsiveness since it will increase your income by more than 70%.You can Check the Responsiveness of Schema Theme. 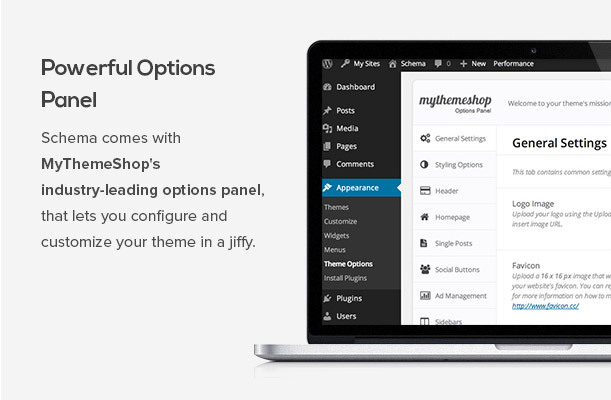 MyThemeShop's options panel is one of the Industry's best options panel where you will fall in love with it. I'm Sure you will. You don't need any ad management plugin when you're with MyThemeShop. You can take complete control of ads like closing ad after X days, and Ad management helps you to place ads under Post Heading, Header, Sidebar (125*125) through which you can increase CTR Rate. All the themes are Adsense-optimized, So your CPCs, CTR s and RPM s will skyrocket, and you’ll be earning will increase further. 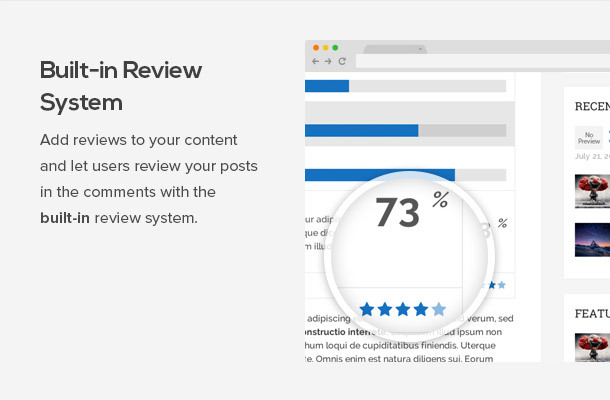 Built in review system helps you to add reviews with the help of schema to your blog post without any plugins. It's also tuned up to increase your SERP Ranking. Even you can also enable review by comments options will help commentators to do their review. With the availability of Over 15 plus Custom widgets on each theme, you don't need to pay for any extra Plugins which increases not only your site's size but also your budget for getting a theme. Some of the Widgets includes Social Sharing Widgets, Sidebar Popular post widgets, ad widgets, etc. All the Latest Social Media icons (Retina ready) are available where you can use it as Floating Bar, Below or above Blog post or in Side Bar. Decorate your blog with the variety of fonts and Icons. Especially Female bloggers going to love it. Get Access to over 350 + Icons and Make your blog post more interesting than ever. With the availability of an array of shortcodes, you can quickly and easily build content for your posts and pages and turbocharge your blogging experience. 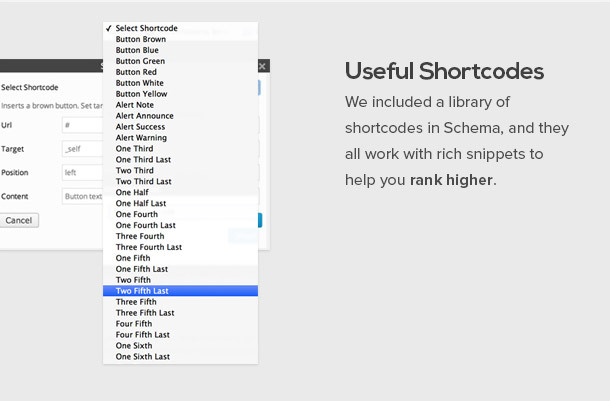 Trust me; WordPress shortcode plugins cost you around $20, and you're getting it for free. The web is multilingual, so why isn’t your site? With MyThemeShop, you can quickly add a translation file and be off and running thanks to the translation-ready featured themes. 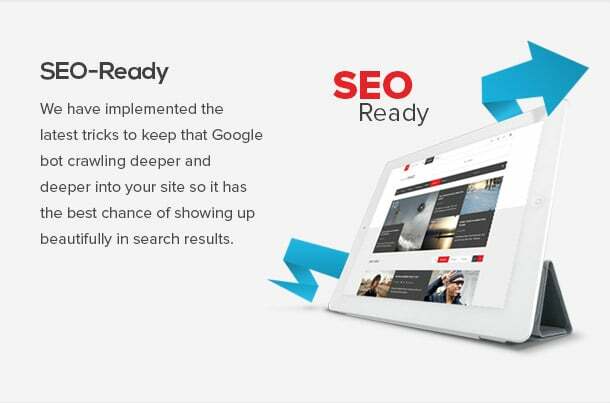 Stop worrying about optimization, algorithms, and confusing jargon.They implemented latest SEO features like schema, page speed which helps you to rank your sites naturally. Each time, when there is a Google algorithm update, they will update their themes. Like this MyThemeShop Review post , I rank my niche site review posts using MyThemeShop Themes to rank higher in search engine results. You can choose colors that match your content, whether you blog about nature, technology, art or anything else under the sun. If you want to add some flair to your site, customize the background, and choose from great patterns, textures, images and more. They are here to help if you run into any issues, but with the simplicity of the setup and easy to follow documentation, you will have everything up and running in a flash. Have you visited the support forums? Your tickets are solved within minutes of posting, and You have to believe MyThemeShop have more support people than any other themes support forum has. Recently they released a theme with inbuilt adblockers blocker. 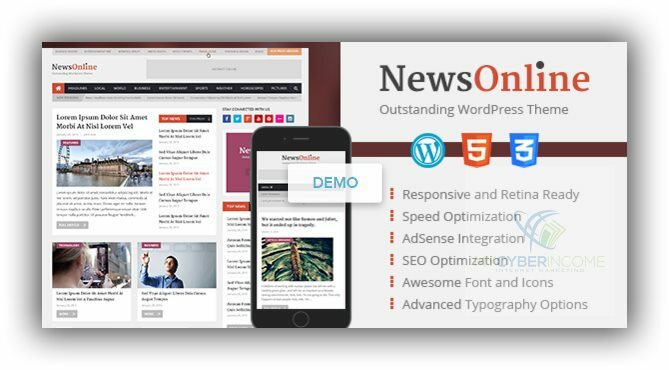 You might now how ad blocker is threatening for online publishers, and they are the first WordPress theme provider to come with inbuilt such an idea and the theme itself became the fast selling theme of them. ViralNova, one of the stone age viral sites used their theme and was sold for whopping $100 Million. Their SociallyViral WordPress theme is the most selling Viral themes of all the viral themes out there in the market. MyThemeShop itself created as a brand which was trusted by many affiliate marketers over the world. Another Viral site built with them is expected to generate over $35 Million this year. If you're passionate towards building your online empire at low cost with the help of WordPress niche site ideas, then MyThemeShop is the best option I can say. While writing this MyThemeShop review, I can see they have over 100+ premium themes and plugins. 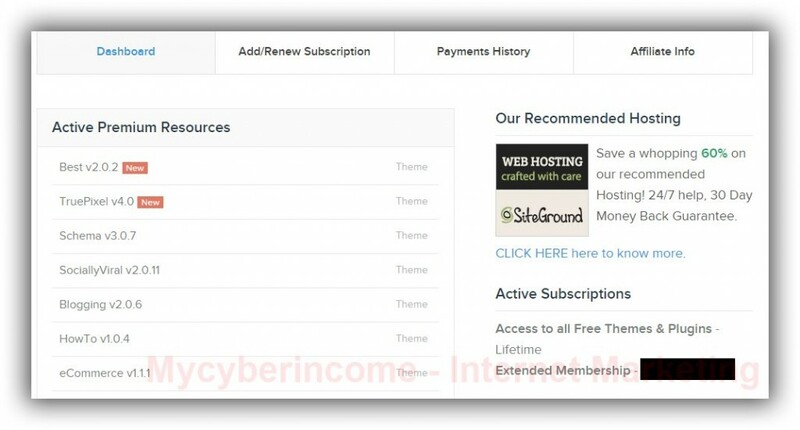 I own an Extended membership license with MyThemeShop where I used most of the themes for my client works and various niche sites. While writing this post, MyThemeShop contains 99 WordPress themes including free WordPress themes. Find 15 best WordPress themes out of 99 themes. Finding best theme from each category (blog, business, viral, magazine, eCommerce). In-depth analysis of the selected theme. Out of 99 themes, I finalized 30 themes which are worth using for any of niche. Out of 30 themes, I choose 15 themes that are performing well both in terms of look and quality of the design. Clients feedback about their WordPress themes. Identifying the pros and cons of themes by searching on support forums. SociallyViral, one of the WordPress theme that made MyThemeShop become a strong brand in WordPress Community. Being MyThemeShop's most selling theme, you can understand how people are crazy about it. 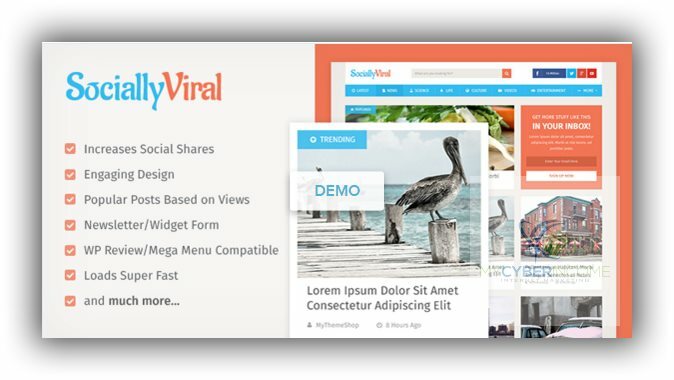 SociallyViral is the most engaging Viral WordPress theme out there in the market for years. 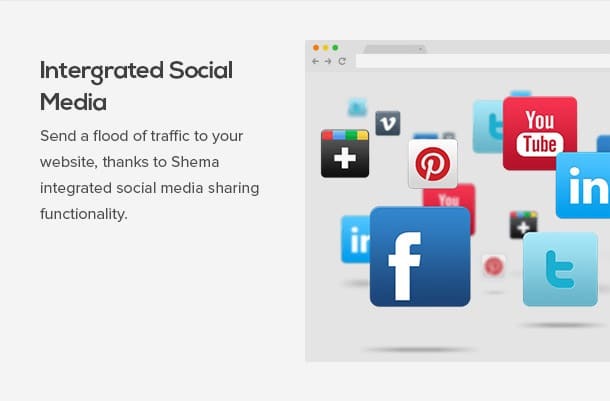 With Fast loading and neat design, SociallyViral is a masterpiece to start your viral sites. The themes are well-built with latest Google Algorithm and optimized for email marketing too. One of the viral site Viralnova used MyThemeshop themes and sold the site for whopping $100 million dollars. Now I bet you won't get better theme than this SociallyViral. Agree ? Ideal for: Viral, Magazine sites. 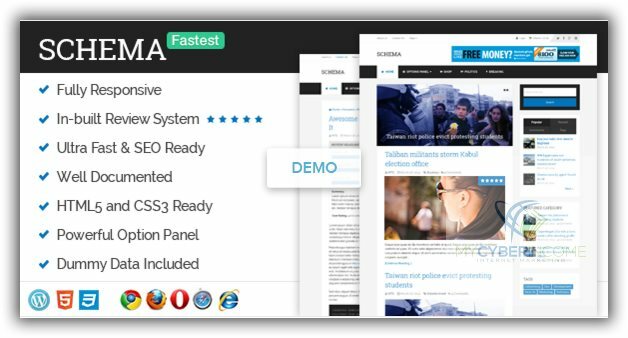 Schema, the fastest WordPress theme ever built for WordPress blogging community. 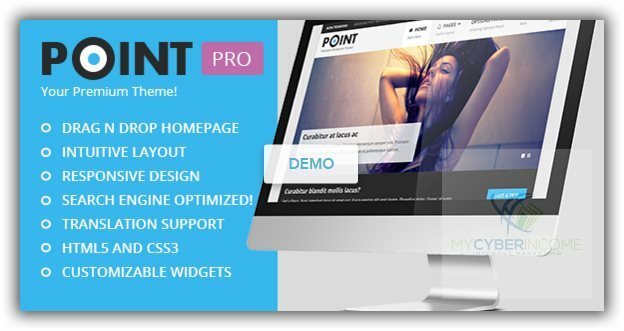 It almost carries all MyThemeShop Feature including Powerful control panel, shortcodes, and widgets. I choose this theme because of its ultra-friendly SEO implementation. Each thing like header, breadcrumbs, contents, etc. is well coded which is helpful for Google bot to the crawl the site properly which in term improves the SEO of the site. With better optimization of SEO, Schema has been awarded as the Fastest WordPress Theme. Ideal for - General blog , Magazine and eCommerce blog sites. NewsPaper, a replica of the SociallyViral theme but it too has its own unique features. 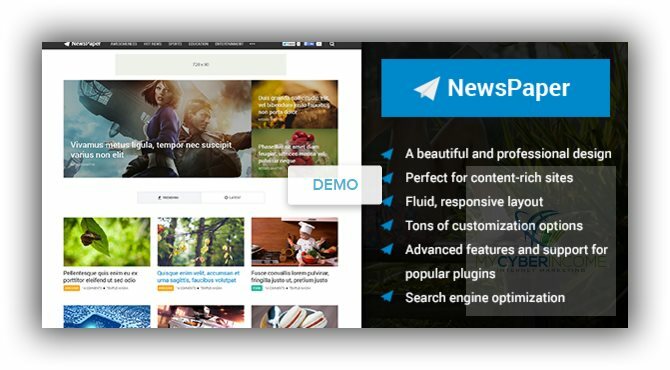 Each time when I visit the demo page of NewsPaper theme, I just can't move to next tab or click any links in it. I swear you, this theme is the most beautiful theme ever built. Another thing I want to let you know is the sexiest social sharing buttons. The floating social sharing buttons are so neat, and it will surely urge a visitor to click the share buttons. I don't know why I can't see such social buttons in other MyThemeShop themes. Maybe it is designed to add more spice to NewsPaper theme. With six different layouts along with eCommerce shop features, I award this theme as the Most Beautiful WordPress Theme. If you're a typical traditional person, then Best WordPress theme is for you. Best is Clean, engaging magazine style WordPress theme suitable for magazine niche WordPress sites. With Inbuilt review schema and easy backend to change your homepage is the best thing about these WordPress themes. It comes with retina ready icons to glorify your eyes, and it is optimized for best AdSense ad placements. If you are looking to start magazine niche sites like technology, fashion, adult and viral sites, then you can't out the Best theme. Ideal for - Technology, fashion, adult and niche sites. It is a professional theme; I can say that.When you visit any authority sites, you can feel professionalism in their site design and the same I was experiencing in this theme. Don't know whether the Font choice in the theme or related posts or comments section, something makes me feel the professionalism in this theme. With Adsense optimization along with six different layouts for various niches, I award this theme as the " Professional WordPress theme." Ideal for - Entertainment, Relationship, Food and Sports Niche sites. I saw some people building niche video sites using some themes sold by third-party sellers which won't get even a single update. Here comes the most addictive Video WordPress theme with Youtube support. With a like/dislike feature, watch later feature, playlist, low bounce rate, integration with YouTube for view counts along with default features like Fast loading and SEO Optimization, Video WordPress themes stands out of the crowd. 9GaG inspired Video theme makes you earn money online with AdSense ads. If you planned to build Video based niche websites, then Video is the only choice for you. With this, I award this themes as the "Best Video WordPress theme." SteadyIncome is my favorite theme in recent times. It's completely awesome and fluid theme built for online marketers, entrepreneurs like You and me. If you check my previous post, I shared how important branding is? 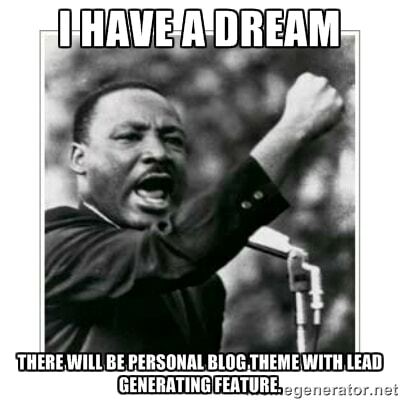 Especially for people in the blogging niche. The theme without compromising helps you to place lead email forms in more than five regions which in turn increases the chance of growth in your email subscriber rate. 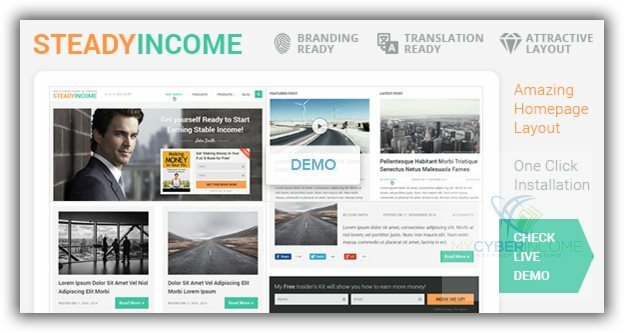 Along with Getresponse, I bet no one can't stop you from making money online.I award this themes as "Best WordPress Theme for Personal Branding." Health Niche - The most money making a niche for webmasters right from the stone age. 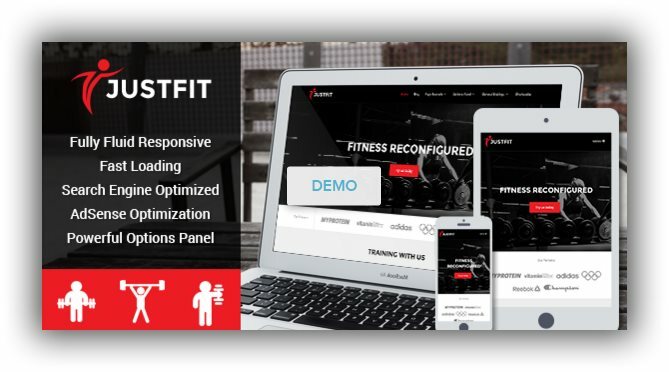 JustFit is the ultimate fitness and exercise WordPress theme. Whether you run a fitness community, are a personal trainer, publish as an online magazine, or own a local gym, JustFit has the features to help you grow your following. Show off testimonials, results, products and workouts, and still keep up a blog. Need a gym theme for your client? Need to build a niche site on health /nutrition ? or need to showcase your training? I suggest you JustFit. I don't need to explain more about it, right? I award JustFit theme as "Best Health and Fitness WordPress theme"
9. 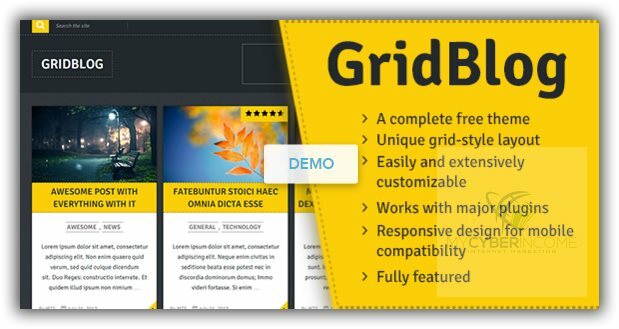 Gridblog - Free WordPress Themes for Blogs. Why should paid premium theme have all the fun? 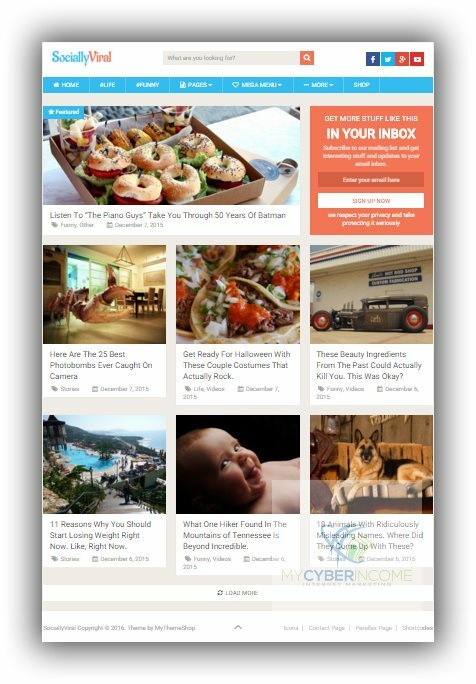 MyThemeShop planned to throw out its premium features to this Grid blog theme and made it as Free. 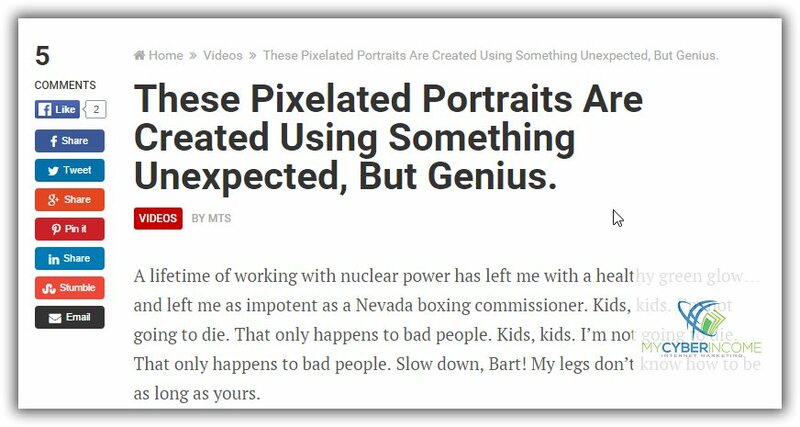 Grid blog is beautiful, Modern and Highly Unique Grid-based theme. Award: Best Free WordPress Theme for Blogs. Ideal for - Suitable for Corporate blog sites and general blog sites. 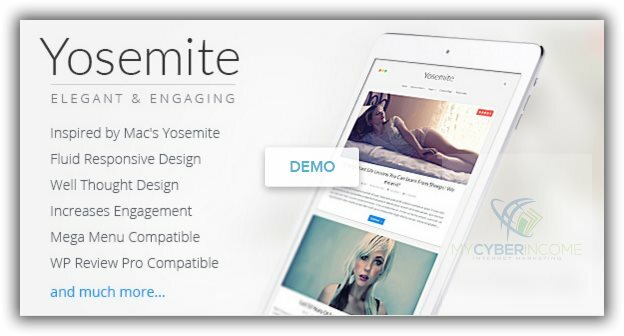 Who hates the Apple's Yosemite design and here comes the WordPress themes inspired by Yosemite - Apple UI design. Yosemite is elegant in design; Adsense optimized, and it's an appealing design too (Apple users can understand it). Award: Best WordPress Theme for Blogs. Ideal for - Suitable for Women bloggers and general blog sites. Since I own a developer account with MyThemeShop and some other theme companies, I show 3-5 themes to clients and ask them to choose one for their business sites. 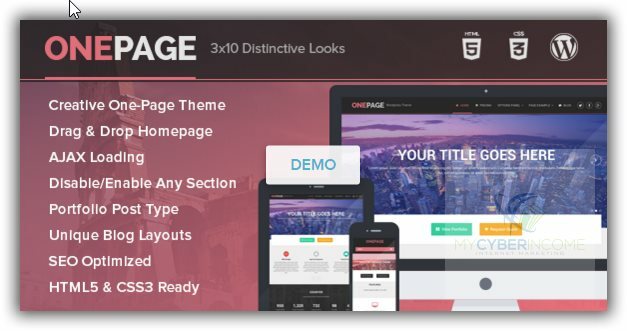 Most people end up choosing OnePage WordPress theme due to its unique appealing and flexibility. Award: Best One Page Business Portfolio WordPress Theme. Ideal for - Business sites. Mobile Application developers are growing at infinite rate across the globe.With increasing mobile applications, there is a need to have a perfect website to promote your mobile applications. With the ability to animate screenshots, have great sections, and seamlessly integrated download buttons, you'll see more users, and you can show them how it looks on their device, with six screens provided on this MobileApp theme. There are some other app themes but they are same but this one unique. 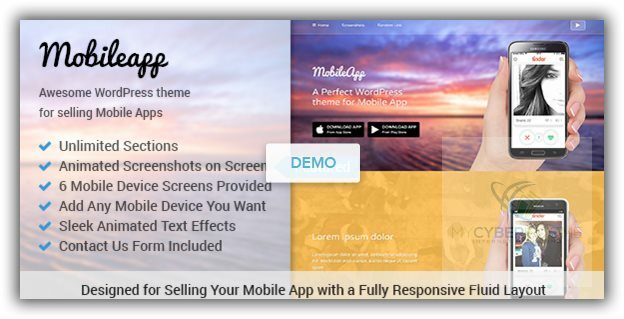 This is the "Best WordPress themes for MobileApp." Award: Best WordPress theme for Mobile applications. Ideal for: Promoting mobile applications. It's the best theme with Drag and Drop feature theme. I award this theme as "Best Drag and Drop Business WordPress Theme." Award: Best WordPress Business Theme. Ideal for - To promote your Business and Portfolio. 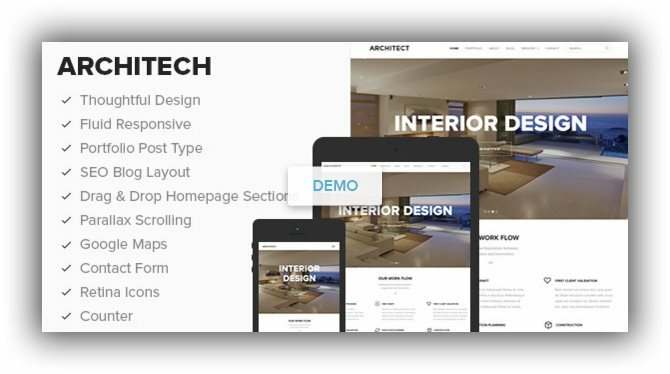 Though the theme is built exclusively for Architect companies, it can be widely used in any business WordPress websites. The architect is beautifully designed with the professional looking design. With re rearrangeable homepage sections, a fluid responsive design, an SEO friendly blog layout makes Architect theme a perfect theme for business persons. I award this theme as "Best WordPress theme for Business." Award: Best WordPress theme for Business. Choosing 15 themes out of 30 themes is a difficult task, but I did it. The below 15 themes is the list of themes which I left out which are worth mentioning here. I mentioned the reasons why I missed those themes, and you can check it out. MagXP - This one is an ultimate WordPress theme with nine inbuilt layouts and comes with inbuilt SERP schema review system. Since I selected 2-3 magazine themes already in the above list, so I dropped this theme. WooCart - Being one of their popular eCommerce themes, this theme is an imitation of a traditional eCommerce site. If you are looking to build a business with this theme, then it will create a bad impression with buyers. But if you're looking to build an affiliate site, then it too good to choose. Corporate - It is one of the favorite themes , but I think its so simple. Maybe people love it, since its a best selling theme. CleanApp - With Mobile app WordPress themes to promote mobile applications, I think this theme is not worth to mention. But with an eye-catching design, you can consider this theme as Mobile App responsive theme alternatives. Please have a look at some other great premium WordPress themes. MyThemeShop became one of the leading premium WordPress themes providers though it was launched only in 2010 as per my knowledge. At the time of writing, there are no such providers offering such excellent themes for such a low-cost. I hope this MyThemeShop Review helped you to learn more in depth about their theme features and pricing. Wonderful post about mythemeshop Themes. My Theme Shop themes are known for their quick loading themes and modern designs. Such themes are mostly demanded by every blogger. So, the discount which you have made is also very attractive. I love Their themes and found themes are really awesome. So far I have used PlayBook (which is free) and Sociallyviral and both are excellent! yeah. MyThemesShop is best in class WordPress themes for all your needs. Even I use 4 MyThemesShop themes for my niche blogs. Thanks Mohan for your Great Review on Mythemeshop 🙂 I really agree with you that, MyThemeShop is really with Best Collections for Blogging and much more. I am using mythemeshop theme from last one Year. Thank You very Much!!! for your Awesome Review! MyThemeShop really has some nice themes but I have found one major issue with their all themes which is WordPress’s backend becomes slow for 2 – 3 seconds to respond. Really wonderful write-up, Glad to find few new points about mythemeShop, I also published review post about Mythemeshop but i missed few things that you have mentioned in your post. Yeah, Mythemeshop is a really cool place for awesome theme. I am satisfied with their theme and support team. Once, my affiliate account was blocked. I emailed thier support team and got a reply within 3 minutes. I was just amazed. Really cool support team thwy have. A very nice and helpful content.